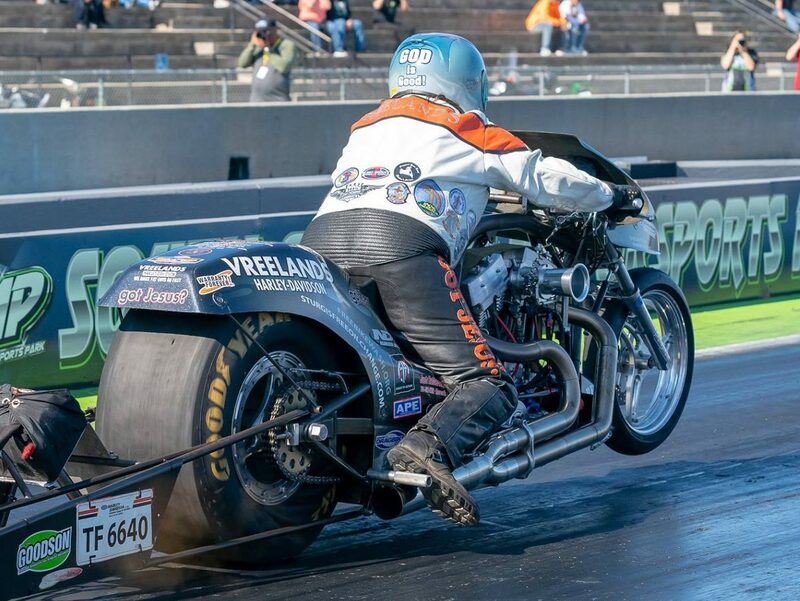 Vreeland’s Harley-Davidson announced it will be the title sponsor for The AMRA’s Super Gas 9.90 index and Top Eliminator 9.30 index classes for the 2019 season. “These two classes are a perfect fit for the V Rod engines we build at Vreeland’s. Many of our customers compete in and have won Championships in both of these classes so it’s at perfect way to give back to the racing community and the new ownership at the AMRA,” Ray Vreeland of Vreeland’s H-D said. The 2019 AMRA season starts April 26th and 27th at Beech Bend Park in Bowling Green, Ky.